"My interest in the sea underscores my work. The ebb and flow of the tides map time. The interface between land and sea is ever changing. Beach rolled stones charter this interaction, where angular surfaces are gradually rendered curved and smooth. This process informs my practice." Frances Lambe studied at the National College of Art and Design in Dublin. She works with a variety of different clays from terracotta through to white stoneware and porcelain. Frances usually leaves her work unglazed except for the occasional application of oxides. A hallmark of her work is the delicate finish, she pays particular attention to ensure that surface texture unites with form. Frances’ source of inspiration is the natural world, in particular the sea. 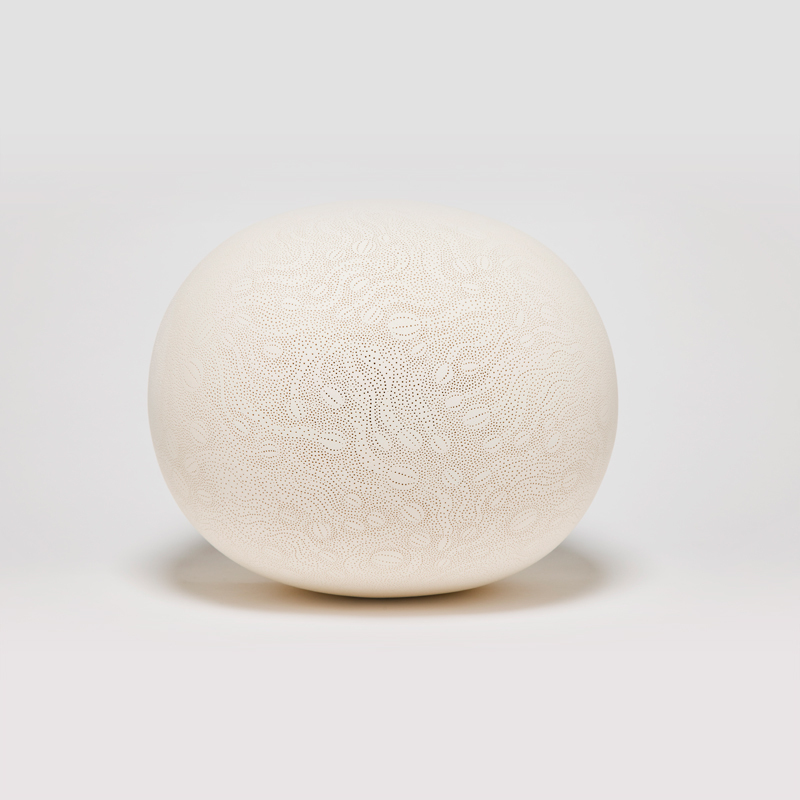 Her ceramic forms describe an underwater world, the sphere, the oval and undulating forms are recurring themes. Their purity of form recalls stones that have been polished by the movement of water and sand. Frances’ work is in public and private collections including the National Museum of Ireland, the Department of Foreign Affairs of Ireland, the Office of Public Works, and the National Museum of Northern Ireland. Frances works from her studio in Allardstown, Knockbridge County Louth in Ireland.